New York, 17 July 2016 - Joining the launch of the Global Partnership to End Violence against Children, SRSG Santos Pais warmly welcomed it as an opportunity to harness the ever-growing support for the protection of children. The Global Partnership to End Violence against Children is launched at an auspicious time, as world leaders gather to review implementation of Agenda 2030. Target 16.2 of Agenda 2030 seeks to end all forms of violence against children along with the other violence-related SDG targets. The Global Partnership can help bring the leading role of governments together with the energy and commitment of civil society, the private sector, foundations, and children themselves. The Global Partnership can amplify opportunities to change mind sets that condone violence against children; promote the passing of laws to protect children and prohibit violence in all settings; encourage the setting-up of properly funded prevention programmes; and ensure provision of the support and services that child victims have a right to. 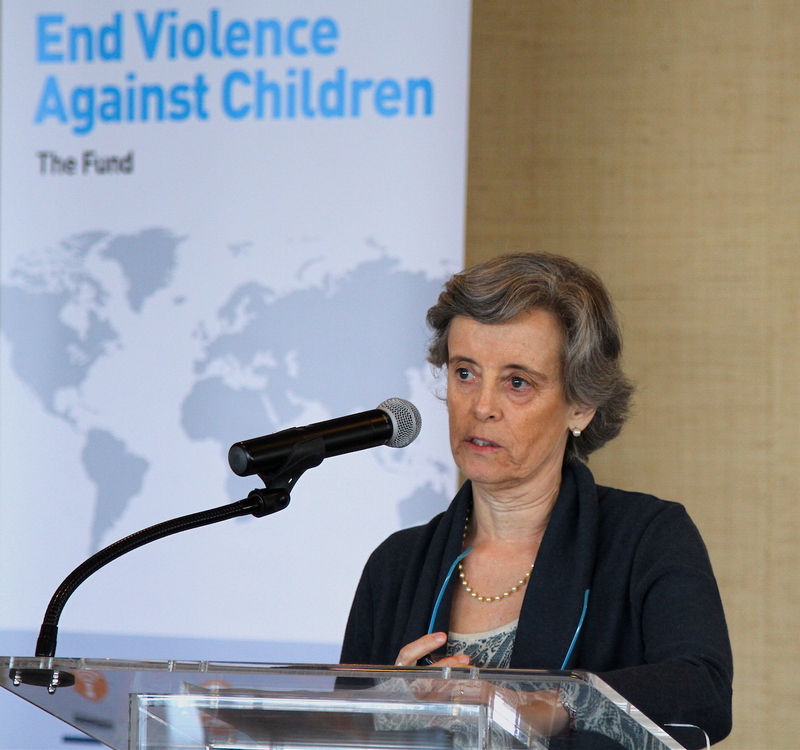 In her remarks at the launch, Santos Pais stressed the need for urgency, “For millions of child victims of violence there is no second chance, and their voices remain the most pressing and compelling cause for action”. “It’s high time to end violence against children – in the countdown to reaching the global target to end all forms of violence against children, everyone is needed but not everyone is at the table yet. The sum of all our efforts will be zero: zero violence! I am pleased to work with all of you in the years ahead to achieve that goal”, said Santos Pais. Santos Pais served on the advisory group that initiated the Global Partnership to End Violence against Children and is a member of its Board.